SAHM Ramblings: Hookers, A Gay Biker and Disney. Oh My! Saturday was movie night and we decided to watch Enchanted. Before I say anything else, I want to explain that it's an adorable movie, leaving you smiling and wanting to dance around the room. Well, at least the girls and I wanted to dance around the room... I better not speak for DH. I can say that without a doubt, all four of us enjoyed the movie. The scene we (as in DH and I) found particularly interesting was when Giselle, the main character, first arrived in New York City. We watched as she wandered around aimlessly in the late hours of the night. DH shockingly said "I can't believe they just showed H-O-O-K-E-R-S in a Disney movie! Walt must be turning in his grave!" A little while later, on a door to door quest in search of Giselle, Prince Edward encountered a variety of people... one of which was a very large biker looking dude that got all excited when he opened the door to find Prince Edward standing there. The movie was excellent and these little bouts of adult humor were a bonus. We were just surprised and figured Walt Disney would probably be too! But if you're looking for a good family movie, be sure to check it out! Leave it to Disney to sneak in something less than suitable lol! I haven't seen the movie either. I'll check it out. I saw about a half hour of the movie (and then Luke wanted to go outside) and what I saw was pretty cute. The scene where the roaches come out of the drain really grossed me out though! I haven't seen it and have been wondering if it was worth watching or not. Thanks for the head's up! Unrelated note: I tagged you for a meme back at my place. It's up to you whether you feel like playing along -- no obligations. 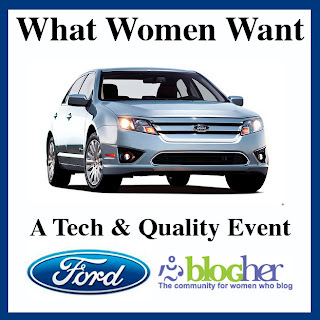 I was just hopping through the blogosphere and found your blog via blogher. It's great! I can't wait to visit again. I'm sorry to hear about your uncle. Since I'm new to your blog, I didn't want to comment in that post, but please know that I feel for you. Now, on to my actual 'comment'...I've always wanted to see this movie and now you've made me really want to see it! I'll have to check it out soon. Thanks! Sadie - Yes, make hubby watch it next time! Lisa - You have to see the movie and don't let my notes effect your opinion. The kids won't even notice! Michele - Zo will love it and I'm sure you will to! Maybe even Neil! Arizona - Maybe it wasn't for Luke... I had two little girls watching it and they loved it! Mommytime - It is worth watching. Also, I haven't forgotten about the meme just haven't gotten to it! Jenny - Thanks for stopping by. I'm glad you enjoyed the site and hope to see (and hear from you) again! I really enoyed this movie! It was very cute.